It's another Scrapping the Little Things with My Creative Time, and I've got another Project Life layout for you today! 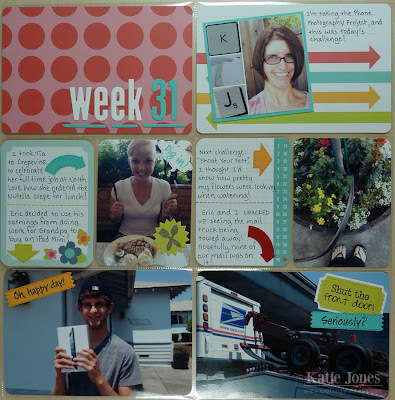 I used my favorite Project Life kit, Honey, for my cards, and then I had fun dressing them up with lots of My Creative Time stamps and dies! 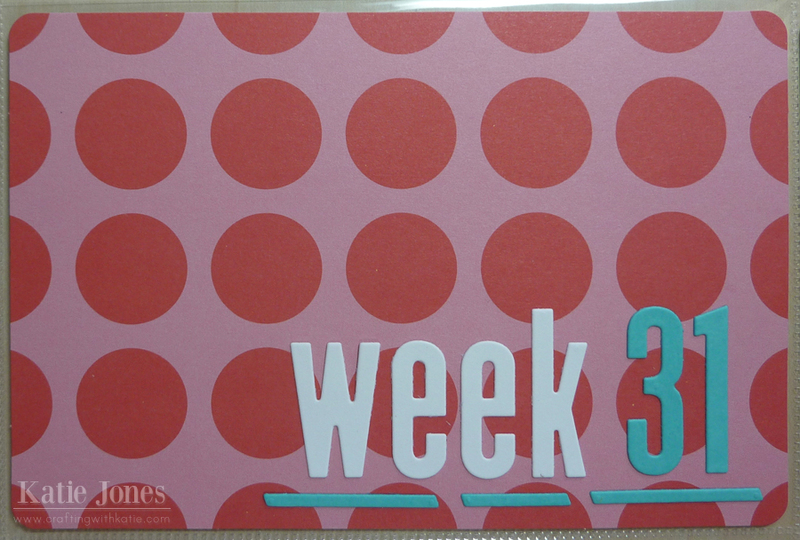 For my title card, I used the "week," the numbers, and the dashes included in the Stitched 4x6 Journal Die. I love how quick it is to cut these out with a die! 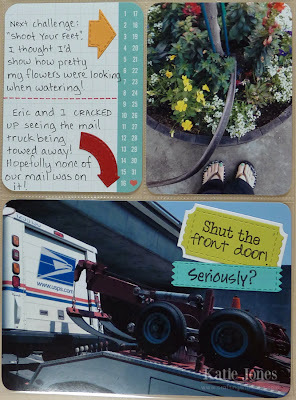 In this section, I was using one journaling card to journal two different events. So, I divided up my journaling card by stamping a dashed line from Gift Card Sentiments. I then added arrows from the Stitched Mini Frame & Arrow and the Stitched Round Tab, Arrow, & Tag dies. That cute little white speech bubble was made with one of the Stitched Round Speech Bubbles and stamped with a sentiment from Just Simply Live. "Oh, happy day!" is also from Just Simply Live, as is the die. To shorten the die to make it match the sentiment better, I die cut my paper once, and then placed my resulting die cut back onto the die, with the extra part of it overhanging. Then, when I ran it through my Vagabond again, I ended up with a shorter banner! I made this cut little silverware icon by heat embossing a stamped image from You Are Here with silver embossing powder on a die cut made with a die from Build a Banner. 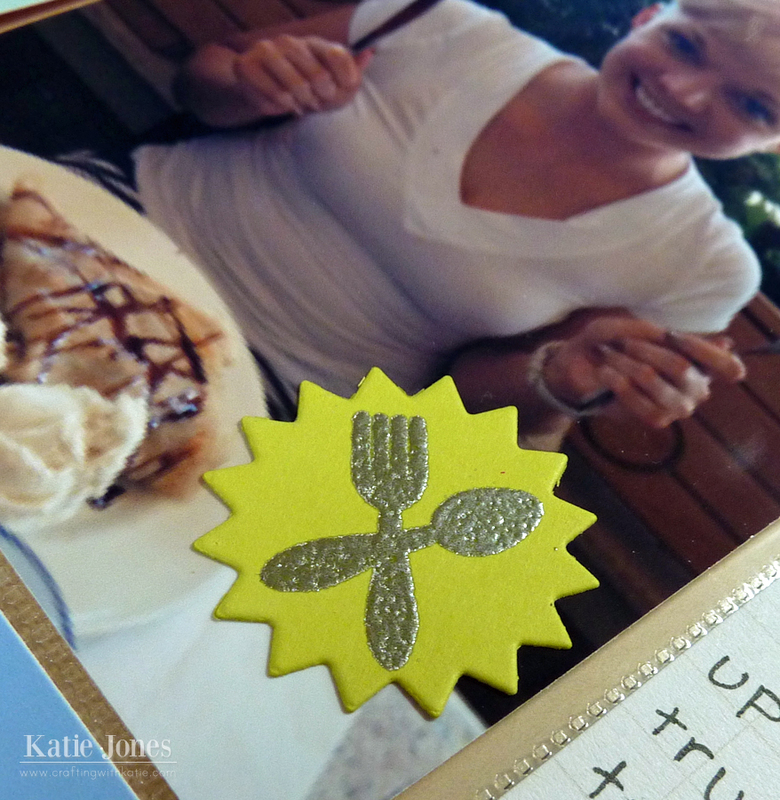 The Stitched Fun Ticket Dies made the perfect sized cuts for a sentiment from Things I Love! "Seriously?" is another sentiment from Just Simply Live. Awesome PL layout Katie! Great pictures and love all the fun MCT stamps and dies!! Katie ~ yet another AMAZING PL page! I am in AWE of how many AWESOME details and MCT products you used! WOW! 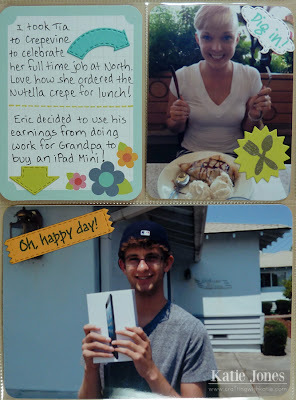 I LOVE those arrows and how you point from the journaling tag to the appropriate picture! SO CLEVER! Then the tiles for your name! You pictures are FABULOUS as always! LOVE seeing what you guys are up too! The queen of PL strikes again! Can't wait to start! Adorable! I love all the amazing details! Your pages are so fun and love the stories. 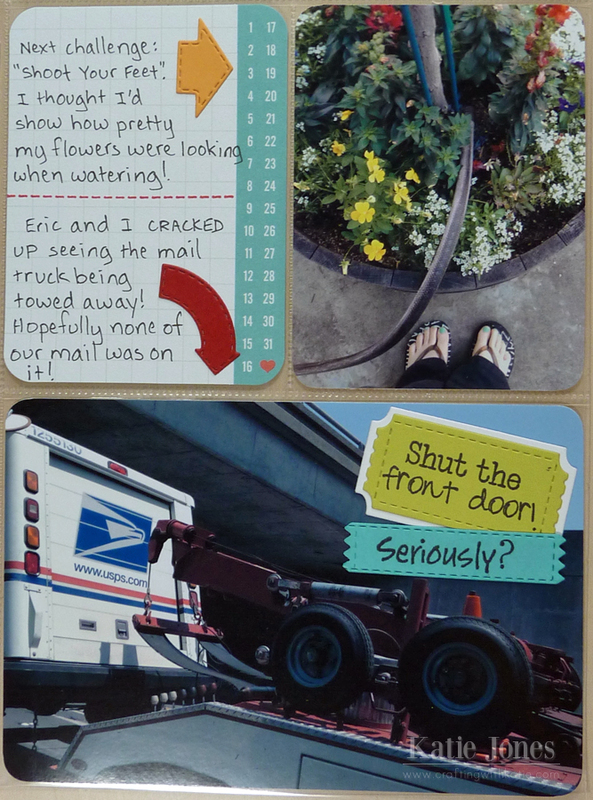 I hope your mail was not on that truck either...esp. if you were expecting a fun package. I like how MCT dies decorate the pages so nicely. Great job!